CARROLLTON, TX – April 13, 2017 – ImageWear debuts new styles for spring in its signature men’s and women’s collection: London Fog. Founded in 1923, London Fog is a global lifestyle brand found in finer department stores across the world. 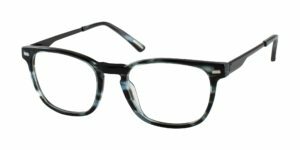 London Fog Eyewear for men and women blend modern trends with timeless style to create a versatile, on-trend collection. 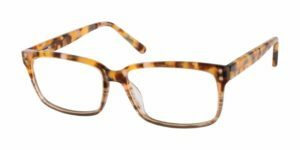 • Charlotte – A delicate, thin zyl cat’s-eye that packs a lot of color and charm. A keyhole bridge adds to the heritage look of this design. The ‘Clear Tort’ color is a new must-have! • Clara – Welcome to today’s hottest look. A setback metal top-rim look with accented zyl temples. Clara has a thinned down “top-rim” look that can be worn by many. • Morgan – This beloved rectangle front cannot be ignored. An updated and modified style featuring an all over subtle animal print that appeals to the woman who wants a unique look. • Sabrina – The perfect shape and size for a smaller fit. Sabrina arrives in wearable colors Red Robin and Tort Blue that burst with character and will delight many wearers. 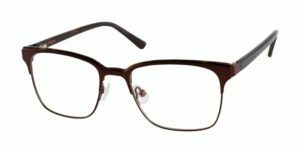 • Cass – The perfect rectangle shape for many men’s faces in amazing two-tone tortoise coloring. A classic and trendy look for today’s professional male. • Hoyt – A lot of character packed into a smaller fitting, metal combination frame. A 51 eye size and a deep B measurement make Hoyt a perfect fit for a smaller face. • John – A jaw-dropping zyl design in a soft rectangle shape with colored metal temples. A keyhole bridge adds to the overall heritage look. • Philip – A layered metal and plastic men’s top-rimmed style has to be seen to understand its specialty. The zyl peeks out of the top of a metal overlay. All London Fog models feature spring hinges and a signature London Fog logo. All are sold with a hard case and carry a lifetime warranty on manufacturer’s defects. London Fog is a leading American manufacturer of fashion apparel and accessories. The company was founded in 1923 as the Londontown clothing company by Israel Myers. During World War II, the company was known for making waterproof clothing for the United States Navy. Following the war, the company partnered with DuPont to make material for use in raincoats. These coats, which were the first to have a patented removable liner, were sold in Philadelphia, where they became very popular.